When the Beer Heights Light Railway opened to the public in 1975, the garden area was very small, with only one or two shrubs and a few trees. As the railway grew in size, so did the garden. It was not until 1984 when we purchased a large greenhouse and had some excellent tuition from professional horticulturist, Arthur Faulkner, did we introduce colour into what had become a rather green and uninteresting area. Ever since then, the gardens have been filled with a variety of attractive flowers and have given much pleasure to our many visitors. To help celebrate the Millennium, it was decided to do away with a tiered putting green and create a new series of garden ‘rooms’. 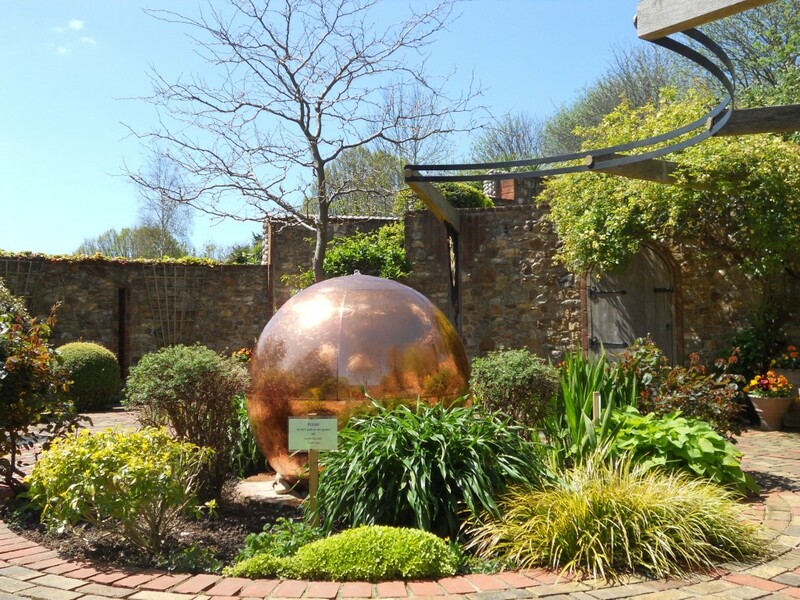 Construction took just over two years and the garden was formally opened in July 2000 by well-known celebrity gardener Anne Swithinbank. 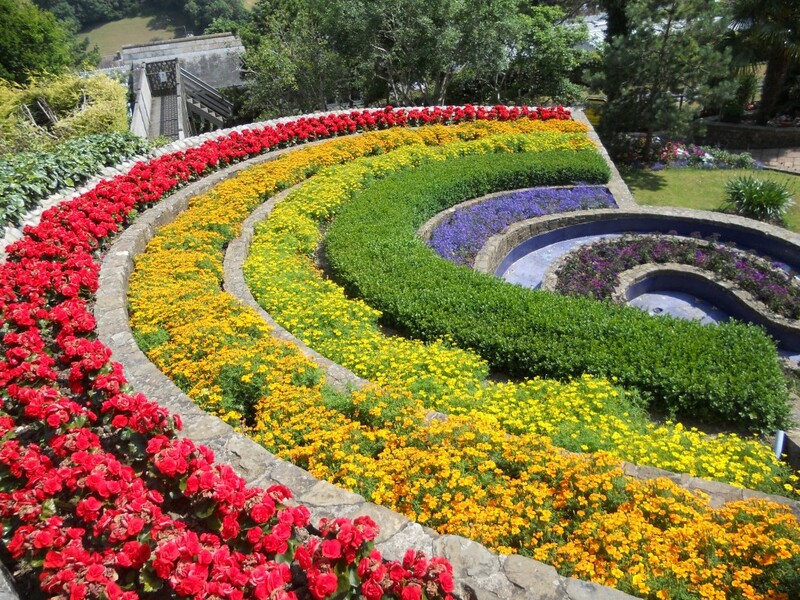 Our designer, Naila Green, came up with the idea of a celestial theme; hence the Sun, Moon and Rainbow gardens, all of which are reflected in their planting colour schemes. 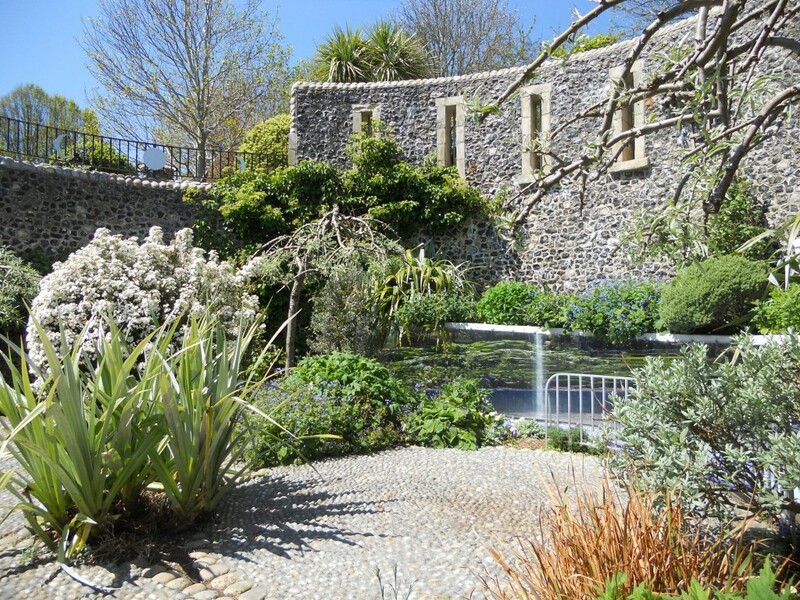 In this area, you will also find a roof garden, scented walkways, a snake path, a shell grotto and wonderful hard landscaping with particular attention to fine detail – something to interest all the family. Dogs: we have to advise that Guide Dogs and Assistance Dogs only are permitted on site. The Grotto is predominantly constructed with sea shells and features a Dolphin sculpture leaping out of the sea, trying to touch the moon. The mythological sea theme, with the Greek God Poseidon watching over all, is a most enchanting masterpiece of work. Be sure to find this special feature within the Moon Garden when you next visit. Hidden somewhere on the site is our Secret Garden, a place separated from the main attraction and ideal for peace and tranquility. 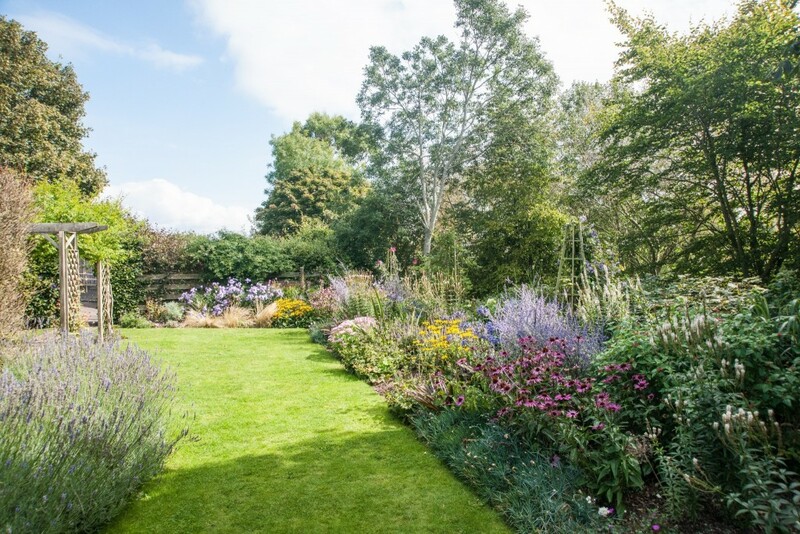 It is partially walled and contains herbaceous borders; quite a different planting regime to the rest of the garden, where traditional but popular annuals rule the day. 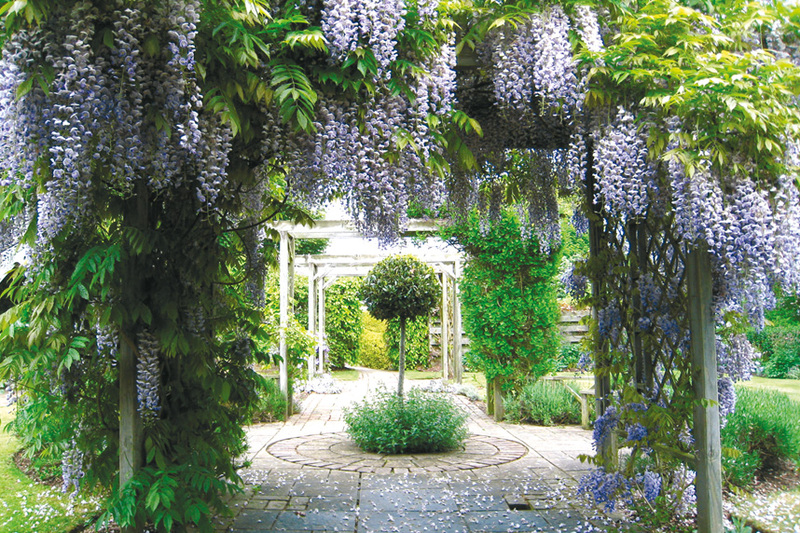 In 2012 professional garden writer and broadcaster Anne Swithinbank helped with the design for new plantings and these have now matured into amazing beds, giving a variety of heights as well as an assortment of colours. If you want to get away from the formal gardens, then take a walk or a train ride (request stop only) to the Wildway. This is found to the east side of the main car park and can be accessed through shaded woodland where all things wild and natural abound. The main structure of Lake Charlotte was completed during the summer of 2015 and is slowly developing with its variety of plant life. The mini lake does not contain fish but is a place for frogs, toads and all sorts of different insects. Damson and dragonflies are plentiful and a fascination to watch as they dart over the surface and dash between plants. Crawlie Hall, the six story bug hotel that has been recently completed, is currently looking for a receptionist! Over time, this will become a paradise for a whole host of insects. Meadow flowers should add to the character during the summer months beckoning those insects to visit. This is also the new location for our Zip-Slide! 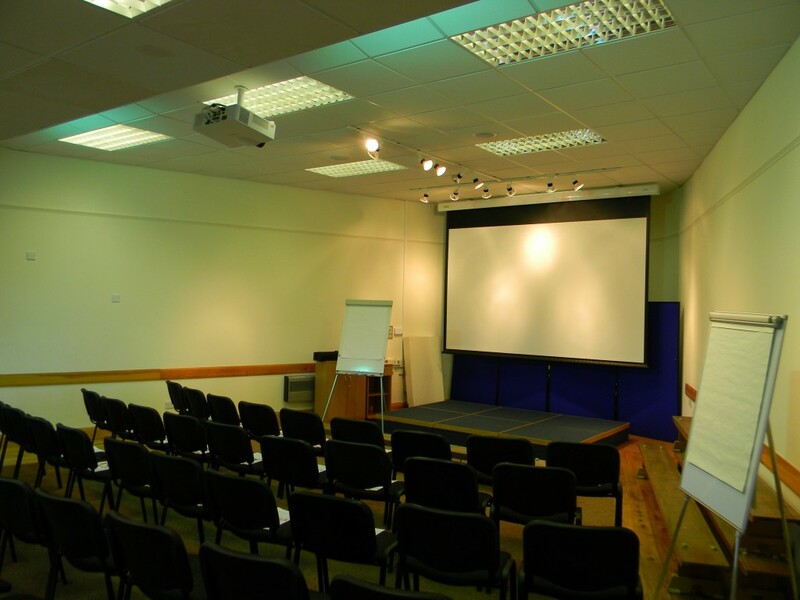 Simply a fantastic space to host your special event! Opened in 2000, the Station Gallery sits alongside Pecorama’s famous 7¼ inch gauge Beer Heights Light Railway and forms an integral part of the Millennium Celebration Gardens. 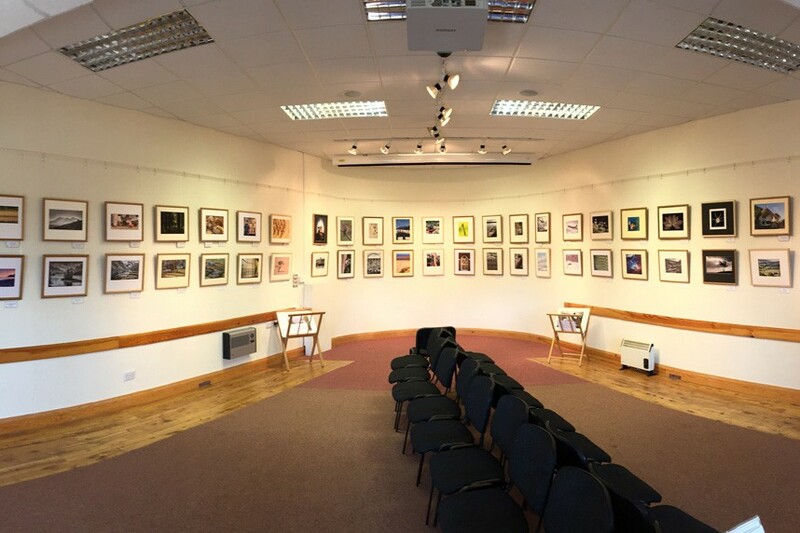 The Gallery’s versatile, triangular shaped space is ideal for art exhibitions and other displays, meetings, performances, conferences and demonstrations and has recently been extensively upgraded to provide a large drop-down screen, HD projector and WIFI. 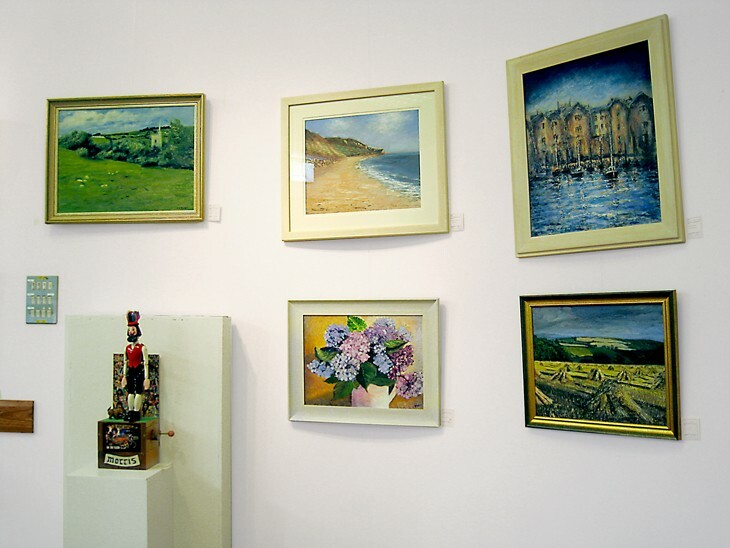 The Station Gallery can comfortably accommodate up to 60 people and is available for hire on a half day or daily basis. Hire rates are competitive and with full catering facilities, free parking and the added benefit of extra facilities, including the hire of special train rides. 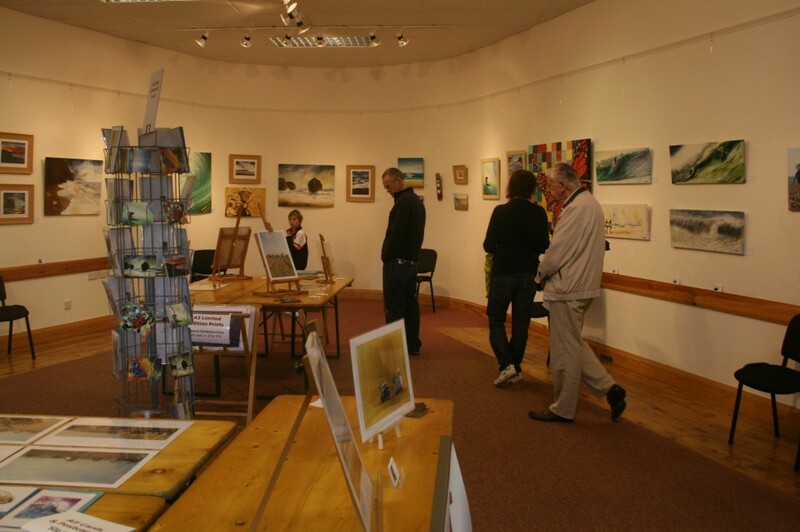 The stunning location of the Station Gallery at Pecorama, makes it the ideal venue for hosting a successful event. Stretch your eye along the Jurassic Coast. Pecorama, one of Devon’s leading tourist attractions, is set on the hillside above the picturesque fishing village of Beer offering stunning views across Lyme Bay to distant Portland Bill.